Singapore boasts one of the highest rates of home-ownership in the world, with over 90% of our population living in homes that they own. Key to this has been the development of public flats by the Housing and Development Board (HDB). Regardless of whether we live in an HDB flat or a private property, majority of us have to use our CPF Ordinary Account (OA) funds to pay for some or all of the downpayment and monthly instalments. This is not only because homes in Singapore can be costly, but also due to the fact that we contribute a large chunk of our salaries to our CPF accounts, leaving us with less cash to fork out for our homes. When we buy a home, one thing that many people fail to take into consideration or are unaware of is that we have to pay an accrued interest on our own CPF OA account when we “borrow” money from it. This is because our CPF is primarily meant for our retirement needs, and just allows us the flexibility to pay for our downpayment and monthly instalment with our funds. Accrued interest is simply the amount we would have received in interest returns on our CPF OA funds if we didn’t use it to pay for our homes. To better understand the situation we will face in the future, here are four common scenarios with regard to how much accrued interest we have to pay. This is a simple situation: we purchase a dream home and live it in for our entire lives. In this scenario, we will never have to worry about or pay accrued interest on our homes. While we will continue seeing the sum we “owe” our CPF account balloon, we would never be forced to sell our homes or other assets to repay it. Once we pass on, it doesn’t really matter if our beneficiaries have to pay the accrued interest after selling our home either. This is a very common scenario for most people in Singapore. When we sell our homes, we have to pay back the remaining loan to HDB (if we took an HDB housing loan) or the bank (if we took a bank loan). The remaining amount will be channelled back to our CPF OA to pay 1) the principal used for downpayment and monthly instalments and 2) the accrued interest that we would have earned if we didn’t use our CPF OA funds. Any remaining amount will then be paid to us in cash. This may be a much smaller sum than expected if we don’t take into consideration the accrued interest we “owe” our CPF OA. We should not be alarmed when faced with this scenario as we can still continue to use all of our CPF OA, including the principal amount returned and accrued interest repaid, to fund the purchase of our next home. This is similar to scenario 2, except that the proceeds from selling our home is not enough to refund the entire principal and accrued interest to our CPF OA. In this scenario, we are not expected to raise any additional funds on our own to refund any shortfall. 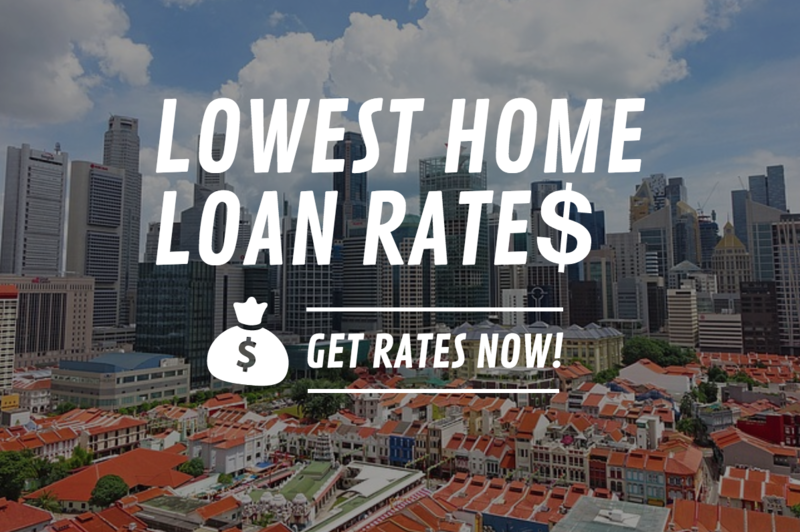 Of course, we will also not be able to take out any funds in cash from the sale of our home as all of it will go towards paying for the outstanding home loan to HDB or the bank, as well as the principal repayment and as much of the accrued interest as possible to CPF. Even in this scenario, we can still go ahead to purchase another home using all of our CPF OA funds. When we turn 55, a new CPF Retirement Account (RA) is opened for us. The combined balances of our CPF OA and Special Account (SA) will be transferred to our RA to set aside and grow our retirement nest egg, which can be withdrawn in the form of lifelong monthly payouts from CPF LIFE starting from age 65. Similar to other scenarios, we have to repay the HDB or bank loan, as well as refund the principal amount used for our downpayment and monthly instalments as well as the accrued interest back to our CPF account. Unlike other scenarios, we now have to set aside the Full Retirement Sum (FRS) in our Retirement Account, essentially locking these funds from being used to purchase our next home if we purchase one. In 2019, the Full Retirement Sum that we must have in our RA is $176,000. This means any funds above the FRS can still be used to purchase our next home. If we want to purchase another home, we can also opt to be on the Basic Retirement Sum (BRS), which is half of the FRS at $88,000 in 2019. This means any funds beyond $88,000 in our Retirement Account can still be used to purchase our next home. Couples in this age group tend to sell their homes to downgrade to smaller flats. This makes sense as they won’t need as much space after their children leave to start their own families. Rather than relying on contributions from their children, downgrading may offer them the cash proceeds to continue sustaining themselves. In this scenario, it is important to consider that both spouses will have to lock up the BRS in their respective CPF Retirement Account, amounting to $176,000 from the sale of their home. This may leave them short on funds to purchase the retirement home they were planning for and still have enough cash to sustain the retirement that they wanted. Accrued interest is not a foe. Rather, we need to view it as a friend trying to keep us on track for our retirement needs. By paying back to our CPF OA the interest we would have earned if we kept our funds in it, we are building our retirement nest egg. In any case, we are not restrained in any way to use all our CPF OA funds, including the accrued interest paid back, for our next home purchase if we are below 55. Even if we cannot refund our CPF OA with the full amount, including downpayment, monthly instalments and accrued interest, we are not expected to fork out any amount in cash to meet this requirement. When we turn 55, retirement is around the corner for many of us. This is where CPF does its job, which may be a bitter pill to swallow for some – by locking part of our balances in our Retirement Account. This is so we can benefit from the CPF LIFE scheme, which starts providing lifelong monthly payouts from 65. In any case, we are still able to use any funds, above the Basic Retirement Sum, to purchase our next home.